Wheeltek Motor Sales Corporation, a nationwide motorcycle dealer, has signed up with Petron Corporation to offer the Petron Value Card (PVC) to new motorcycle buyers. With over 200 stores nationwide selling about 6,000 new Yamaha, Honda, Kawasaki, Suzuki, and TVS motorcycles, Wheeltek will be giving its customers additional benefits and privileges through the co-branded Wheeltek-PVC. Wheeltek-PVC cardholders will earn bonus points on top of the regular points earnings of the PVC. Purchases between P 50 to P 99 earn three bonus points; for P 100 to 149, six bonus points; and for P 149 to P 300, eight bonus points. This is in addition to the regular reward of one value point for every P 250 fuel spend, and 5 value points for every P 100 worth of engine oil purchase. 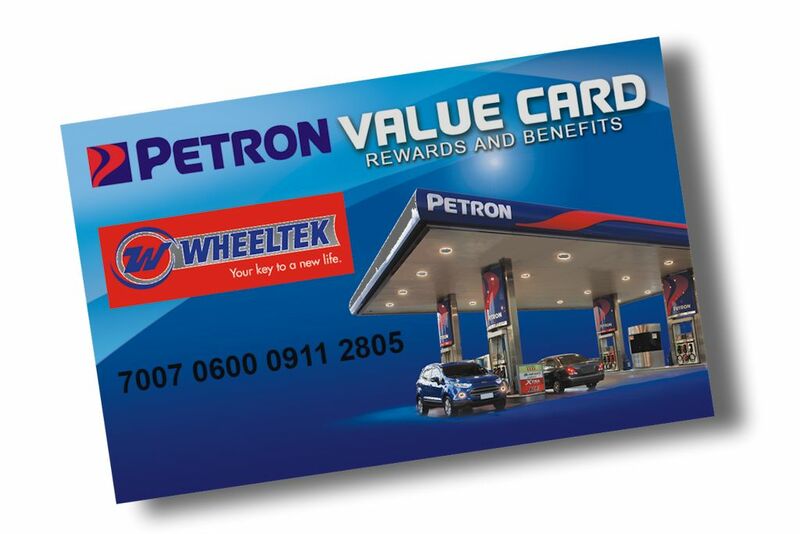 Peso points earned on the Wheeltek-PVC can be redeemed for Petron products at over 2,000 Petron stations nationwide. These can also be converted to cellphone load, air miles, groceries, movies, and other options. 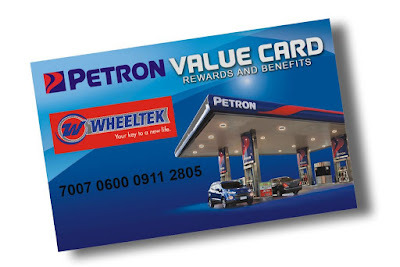 Petron takes care of its loyal customers, and Wheeltek-PVC cardholders can enjoy the following benefits, subject to terms and conditions, through their Petron Value Card: free personal accident insurance coverage of P 10,000 for accidental death and P 1,000 medical reimbursement, and privileges at partner establishments. The Petron Value Card mobile app, available for iOS and Android smartphones, provides the transaction history and points summary, as well as access to the various promos, benefits and privileges. To-date, there are over 4-million active Petron Value Card holders who enjoy the exclusive rewards of being a loyal Petron customer.